Who doesn’t love a good magazine freebie? Going into Smith’s and rifling through the stacks, filtering out the inevitable packets that have been ripped open already and eventually walking out with 3 copies of the same magazine just so you can try everything! I found myself in the magazine aisle after work the other day and was amazed at how good some of the freebies are this month. 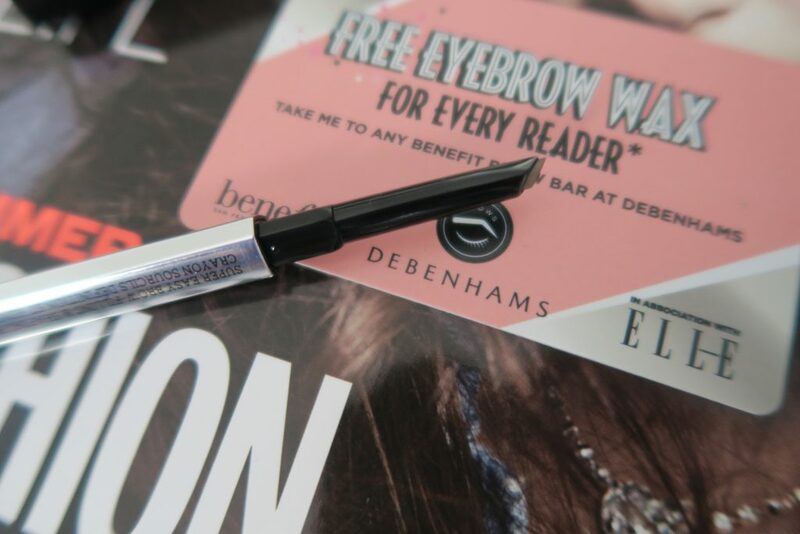 Benefit have just released a massive range of eyebrow products, and Elle was offering readers a chance to try the new “Goof Proof Eyebrow Pencil“. 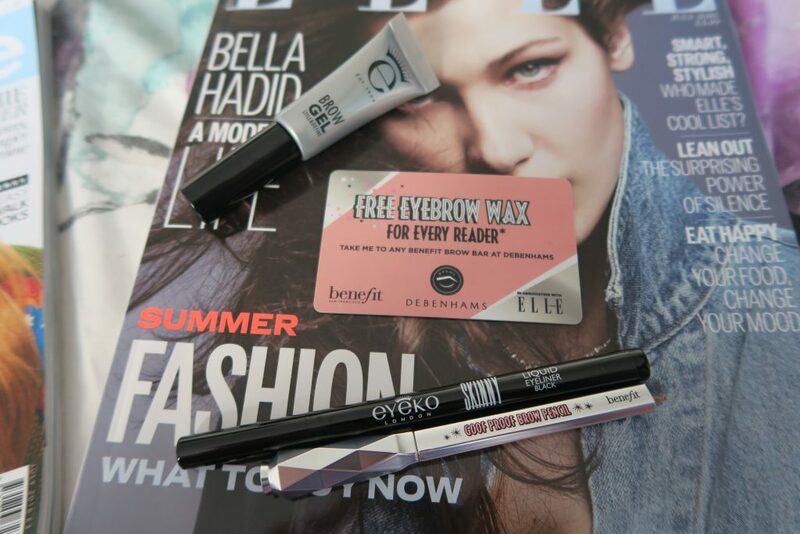 On top of that they were also offering free eyebrows waxes from the Benefit Brow Bars located in Debenhams. 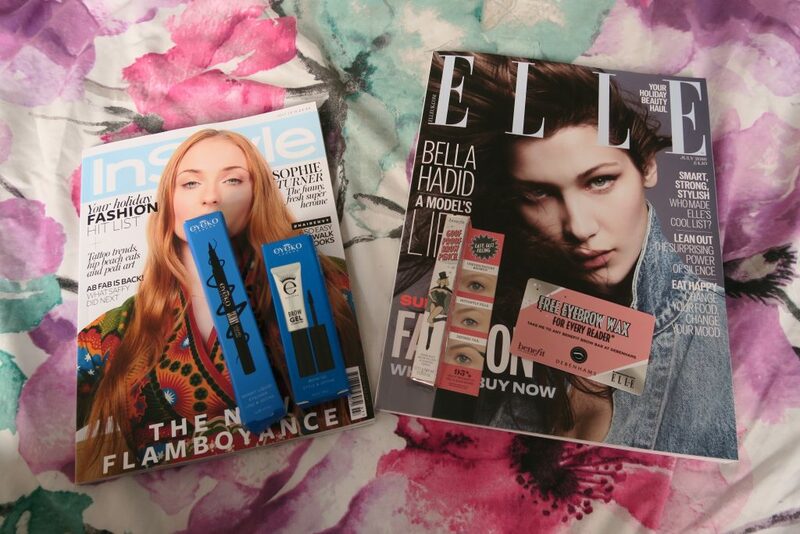 inStyle had some goodies on offer from Eyeko. 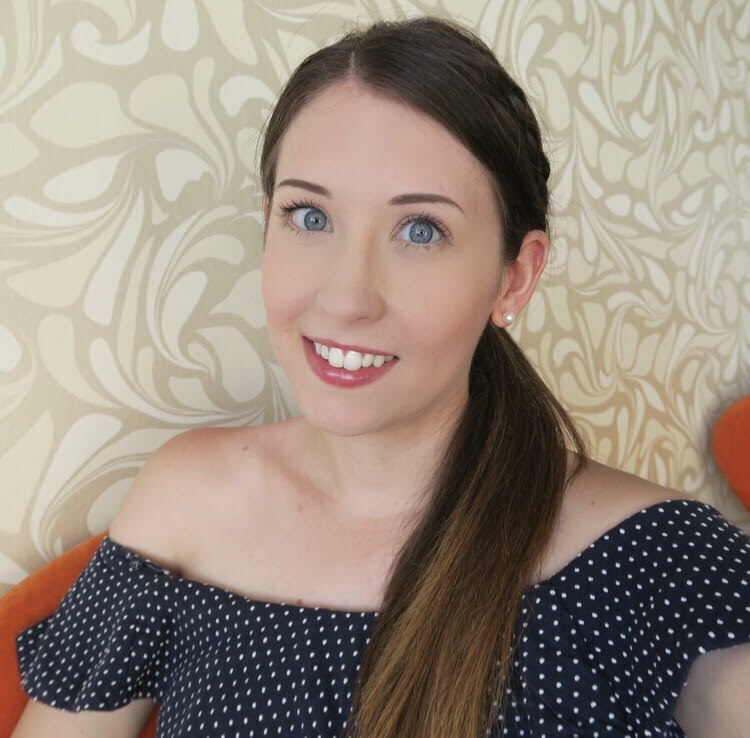 I have used their skinny eyeliner before and really liked it. So I also bought another copy to try out the eyebrow gel! 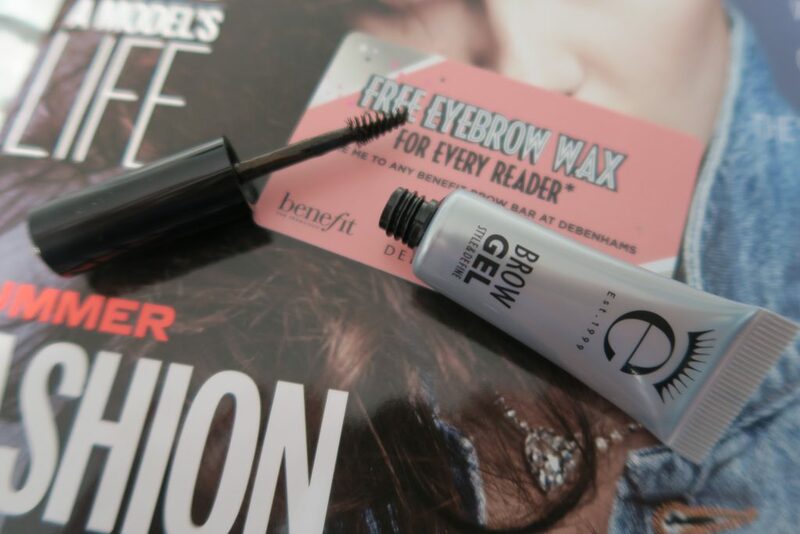 The brow gel is easy to use and is tinted brown. The brush is small enough to capture all hairs and leaves you with nicely coloured and shaped eyebrows. 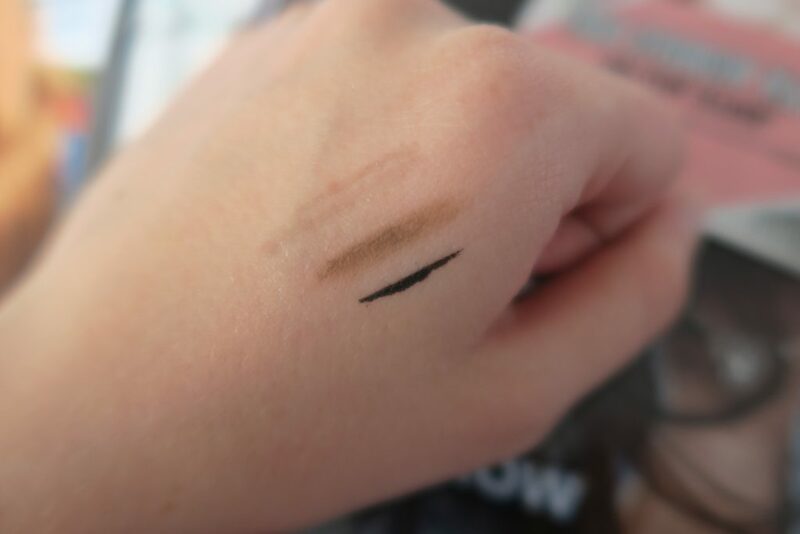 As I mentioned before I love the Eyeko Skinny liner as it doesn’t smudge. So I had to pick one for my stash! There are actually 5 products up for grabs with the magazine. You can choose from various mascaras, eyeliners and a brow gel, or get them all!